Image Size: 27 X 40.5 in. 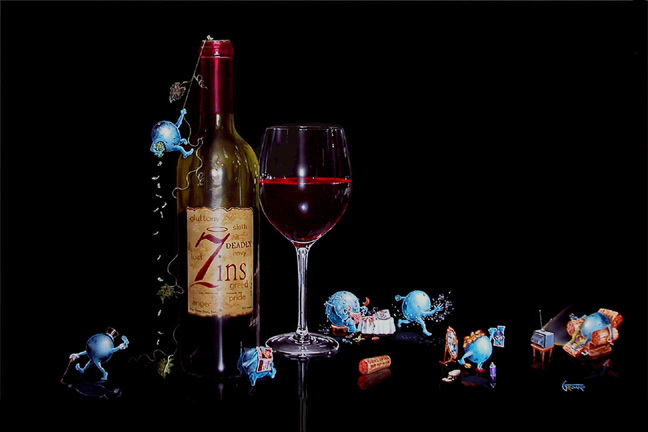 These seven deadly "Zins" as only Michael Godard can portray. From left to right. Pride, Greed, Lust, Gluttony, Wrath, Envy and Sloth.